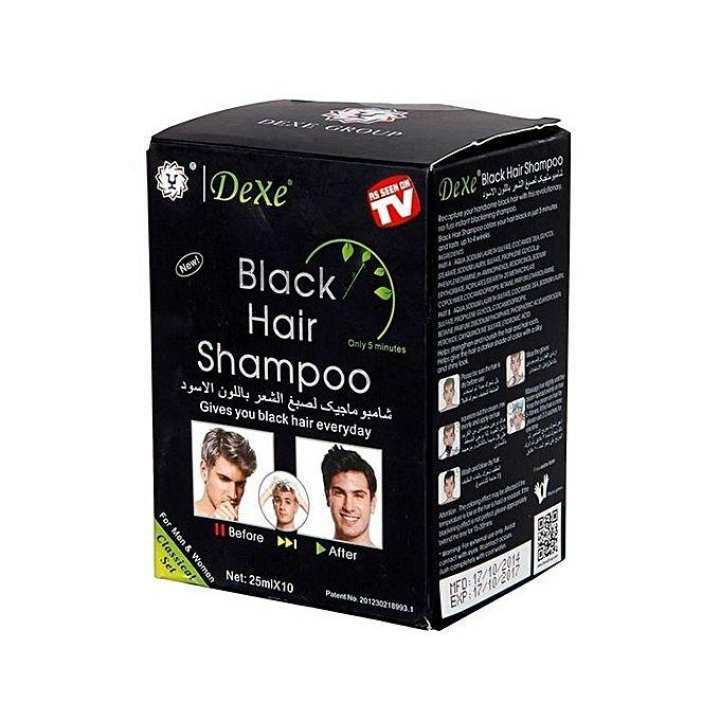 Dexe Black Hair Shampoo is a kind of shampoo which can dye your hair into black in 5 minutes and specially designed to make your hair black shin just through the ordinary process of washing hair at the bathroom. Black Hair Shampoo in non-toxic with high technology. It is also nourishing, protects and repairs scalp. Compared to the traditional hair dye, it has the advantage of low-cost, time-saving convenience. Doesn't work. Product looks good. expiry date koto tarikh porjonto? same product bivinno dam keno?